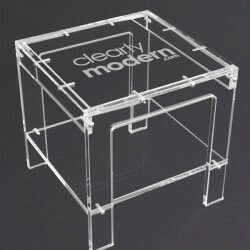 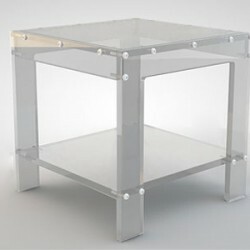 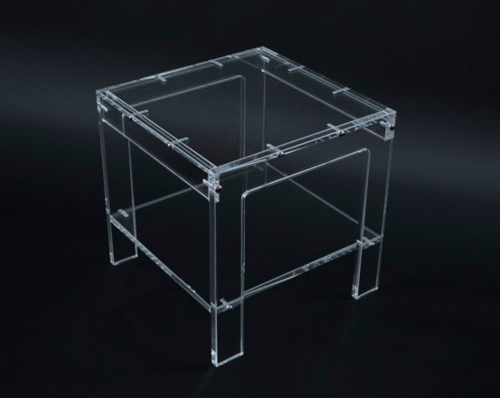 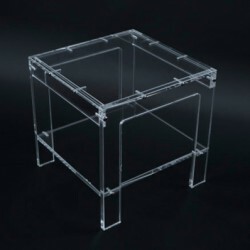 This table made from 20mm clear acrylic is one of our trademark designs. 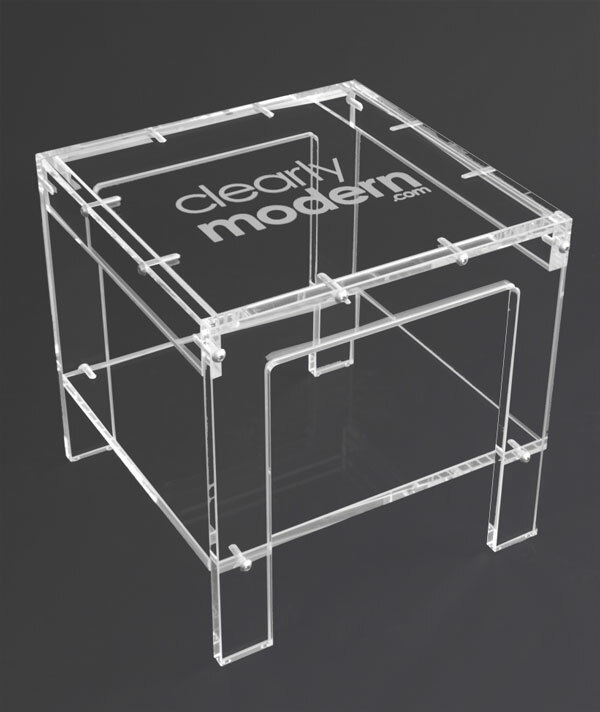 Beautifully polished acrylic with a 2mm frosted bevel, assembled using polished stainless steel bolts to give an industrial look. 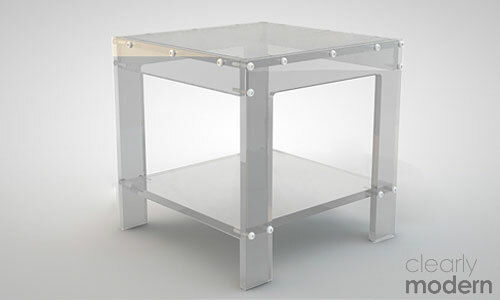 A modern and striking addition to any living room or reception that can be made bespoke to suit your requirements.